Keeping your pets hydrated is important to do all year round. It’s especially important when you re spending a lot of time outside. Though in my part of the country it is started to get cold (we might get some snow tonight! ), I know that other luckier people live in places with warmer weather all year round. And for some of us with snow in the forecast we might be thinking of spring and summer where we can spend plenty of time outside with our pets. If you’re in either of those boats, then today’s Stocking Stuffer Giveaway is for you! 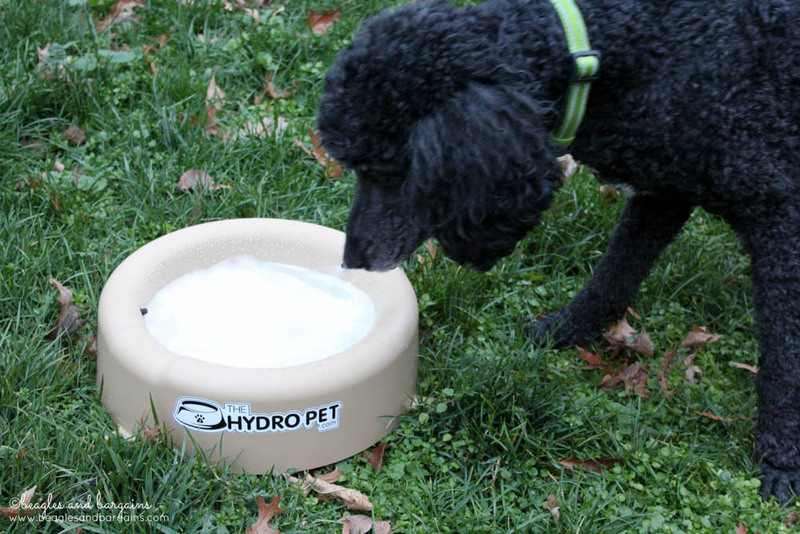 The Hydro Pet Bowl is an automatic outdoor water bowl for all kinds of pets. It is designed to provide fresh clean water by recycling old water to nearby trees, shrubs and plants. It’s perfect for the pet and garden lover in your life! The kit comes with a large plastic bowl that has three water jets that are connected to a long piece of tubing. You can then connect that tubing to your hose bib, drip line, or sprinkler system through the attachments provided. I love the versatility of the product! You can use it with your hose now and then hook it up to your sprinkler system later. The bowls themselves have a 1.05 gallon capacity and are BPA free. The kit also comes with three anchors so that your bowl will stay in place. 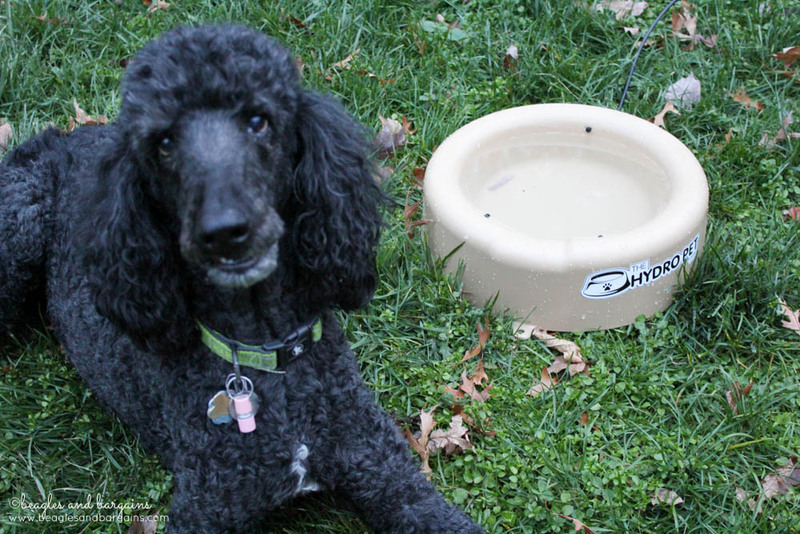 If you have The Hydro Pet hooked up to your sprinkler system or drip line, you can utilize the timer built into those systems to refill and recycle the water in the bowl. If you are using a hose bib like we are, then you can either run the water manually or pick up a timer accessory. Either way you can choose how often your bowl cleans and refills the water. 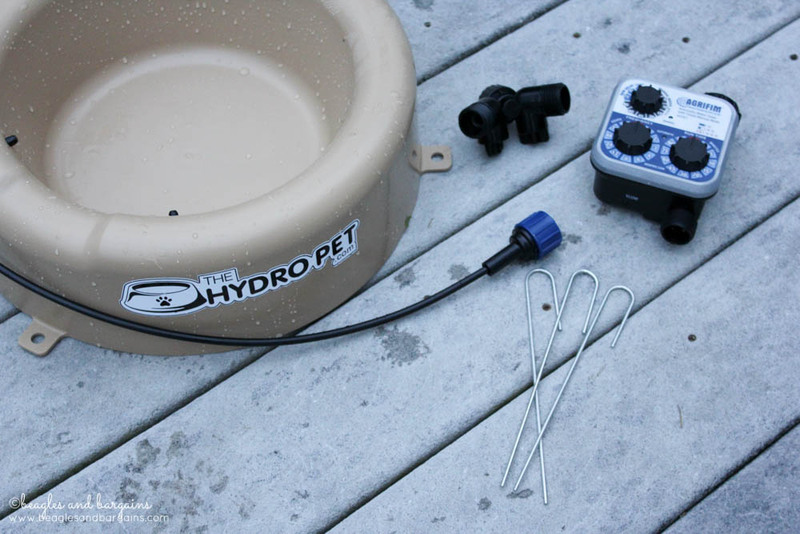 You can learn more about how The Hydro Pet works as well as detailed instructions on how to set it up with each method by watching some of their YouTube videos. So what happens to the old water? As the bowl refills some or all of the old water is pushed over a lowered lip onto nearby grass, trees, and shrubs. So it is also a great way to water a garden or farm plot regularly! Replenishing and replacing the water ensures that what your pet is drinking is clean. Because it keeps the water moving, it also prevents insects like mosquitoes from laying eggs in standing water and your pet from getting sick from biofilm that gathers in standard water dishes. Since I still live in an apartment, I took our Hydro Pet over to my parents’ house and had cousin Keto test it out! He was very interested as the water bowl filled up and I’m excited to break it out again this spring. And, then maybe steal it back from my parents once I finally get a little bit of land of my own. While I was testing out The Hydro Pet with Keto, I mentioned to my mom that I thought my uncle who runs a produce farm near St. Louis would love something like this. It would be a great way to keep his dogs who spend a lot of time outside hydrated and would even work with some of the other animals he raises like chickens. Good thing Christmas is coming! Overall I’m impressed with this made in America product! It has a simple, but innovative design and is pretty easy and quick to set up. Plus, there is absolutely no electrical component (except the battery operated timer) so you can use it anywhere! I think it would be a great addition for anyone with a large yard, garden, or farm and pets of any kind (dog, cat, chicken, rabbit) who spend time there. If you want to learn more about The Hydro Pet, be sure to follow them on Facebook, Twitter, and Pinterest! 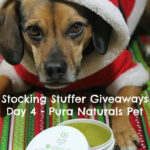 ONE lucky Beagles & Bargains reader will receive The Hydro Pet Bowl! Residents of the United States are eligible to enter via the Rafflecopter below. Entries must be submitted by 11:59 PM ET on Friday, December 23, 2016. Winners will be notified via email within 48 hours of the giveaway closing and will have 48 hours to respond and claim their prize. One (1) winner will receive one (1) The Hydro Pet Bowl. Approximate retail value is $29.95. 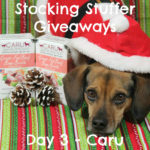 Don’t miss any of the 12 Stocking Stuffer Giveaways! 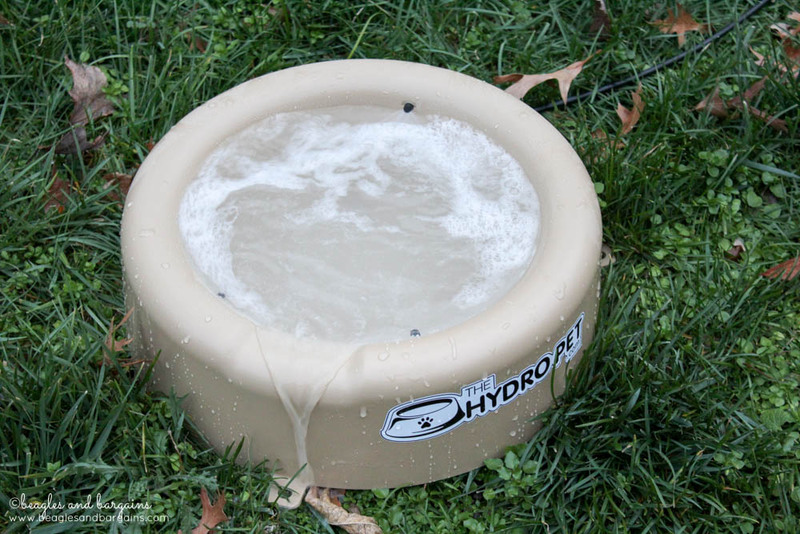 How would you use The Hydro Pet Bowl? Disclaimer: The Hydro Pet provided product free to review. 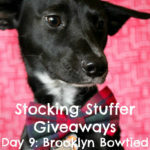 I am being compensated to help spread the word about The Hydro Pet Bowl. I received no other compensation or additional benefits for mentioning the brands or products in this post. The opinions and ideas in this post are my own and are uninfluenced by any other person or business. 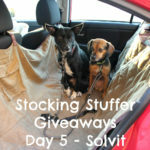 The Hydro Pet is responsible for all giveaway prizes including shipping.